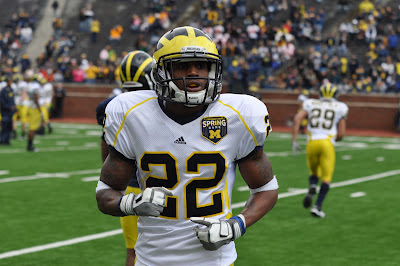 Junior CB Terrance Talbott is no longer with the team. A university spokesman confirmed Thursday morning that reserve junior cornerback Terrence Tallbott has left the football program. He appeared in line to receive more playing time after an impressive spring showing that saw him running with the starting defense. But, now, that won't be the case. 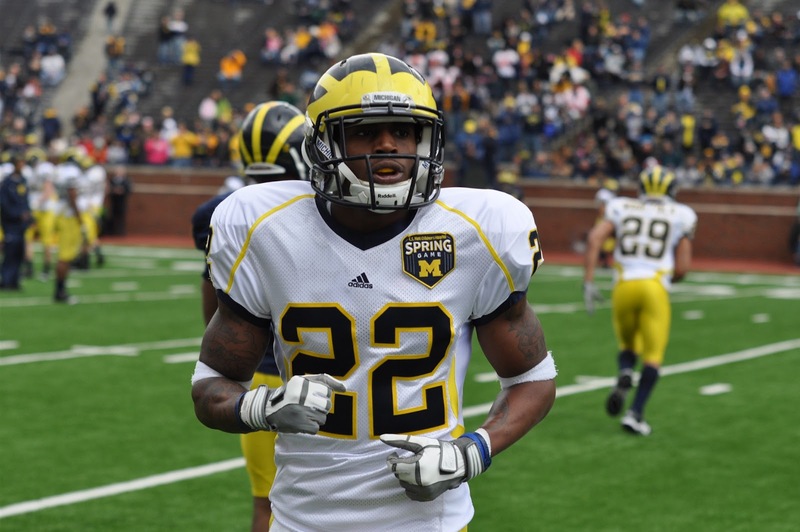 “He’s like a lot of our guys out there," Michigan defensive coordinator Greg Mattison said in April. "Our program is about nobody ever really having a position locked. Raymon (Taylor) steps in there, shows some good things. Terrence goes in there and shows some good things. It doesn’t matter. "I think at the very end of spring, we’ll evaluate and say, 'Who had the most good days and where does he fit now?' All of this is a process until we get to that opening game." In 2011, Tallbott fell behind Blake Countess and J.T. Floyd on the depth chart, and also sat behind reserves Courtney Avery, Raymon Taylor and Delonte Hollowell. No official word on why he left, but I'm sure it had something to do with not getting on the field as much as he used to. As the level of talent increases, attrition is inevitable. That seems to be the case here. Talbott's departure leaves Michigan thin at boundary corner. If Floyd goes down it probably sees Blake Countess slide over and Courtney Avery slide into the starting lineup with either Delonte Holowell or Raymon Taylor taking over the nickel spot. Either that or Taylor steps into the starting lineup at boundary, but he's listed at 169 pounds on the roster… other than Floyd Michigan's cornerbacks are tiny. By virtue of being listed at 5'11", 180 Talbott was the second-biggest guy available. Floyd's health, already pretty important, is now more so.